On behalf of admin of JML Law, A Professional Law Corporation posted in Product Liability on Wednesday, Feb 21 2018. Over 80 product liability suits filed by users of diabetes drug saxagliptin have been transferred to U.S District Court in Lexington. Since February 12, the suits, which all claim that cardiovascular injuries or heart failure were experienced after the drug was used to control diabetes, have been transferred from various counties to U.S District Judge Karen Caldwell. The suits, many of which have cited AstraZeneca Pharmaceuticals and Bristol-Myers Squibb Co., amongst others, as defendants, alleging that the manufacturers of the drug failed to accurately warn patients and healthcare professionals about the risks involved in using the medication and, in particular, the risk of heart failure. The cases, originally filed in a variety of locations around the United States, have been centralized in Lexington on the instructions of the U.S Judicial Panel on Multidistrict Litigation. 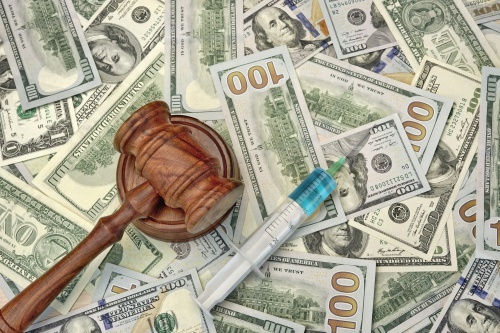 Despite opposition from some of the drug manufacturers involved in the lawsuit, the decision to centralize was made on the grounds of conserving the resources of the parties involved, their counsel, and the judiciary, as well as preventing duplication or inconsistent pretrial rulings. There is a chance that some cases may be directed back to their court of origin for their actual trial. Before getting to this stage, the risk of heart failure and similar cardiovascular issues was first published in the New England Journal of Medicine in 2013, citing a study which showed the risk was increased by up to 25%. Three years later, in April 2016, the Food and Drug Administration (FDA) updated warning information on affected medications to include the increased risk of heart failure. The FDA warnings stated that those with existing heart or kidney disease were even more at risk. Saxagliptin is the active ingredient in diabetes medication Onglyza and Kombiglyze XR. Do You Need a Long Beach Product Liability Attorney? Product liability lawsuits can be filed where a person has been injured or has become ill as a result of using a defective product. This may be due to a design or manufacturing flaw in the product itself, or a failure on the part of the manufacturer to provide adequate warnings about safe use. As a consumer, or worker, you have rights, and an experienced Long Beach product liability attorney can defend them. We will work with specialists to investigate every little detail of your case, ensuring you recover the maximum possible compensation for your injuries. This should cover all medical, income and other losses you’ve incurred as a result of using the defective product. If you need the services of a skilled Long Beach product liability attorney, contact us today on 818-610-8800.